It bears all the hallmarks of a Scandinavian-inspired home: white walls, modern furniture, clean lines and, of course, the essential dose of warm brown accents for some rustic cosiness. But what also makes this refurbished three-storey terrace house in eastern Singapore - home to a couple and their three young children - a standout is how it has been so effortlessly and stylishly pulled together against a predominantly white backdrop by interior stylist Priscilla Tan of Styledby.pt. From the modish neutral-toned furniture to the way the pieces are laid out, the different sections of the 2,700 sq ft home showcase how simplicity meets beauty. Subtle wood tones for the furniture and flooring at the family's resort-chic front porch extend into the living room. The 6m-high ceiling in the living room lends the space a breezy feel, upping the hygge factor of the home. For a discreet luxe feel, Ms Tan decked out the living room with rose gold-trimmed furniture and accessories such as a customised armchair, round coffee table and mirror. The sleek dashes of gold are also on the lamp fixtures in the dining room and kitchen, as well as on the shelves in the entertainment room, so that these spaces do not appear too whitewashed. Each rug and cushion was also specially picked by Ms Tan, who prides herself on being more than just an interior designer - she is also a stylist. The original wall separating the living room from the kitchen was removed to open up the space and make way for more natural light. Again, its design is a no-frills layout combining functionality with a minimalist aesthetic. A small kid-friendly island top lets the children gather round it and participate in kitchen activities. Perhaps the most adventurous palette is found in the bedrooms. The master bedroom sports an eye-popping spectrum of blue hues, from light to teal. For a luxe boudoir feel, the room also features heavier carpeting, artworks and ornate lighting fixtures such as a chandelier. The kids' bedrooms also feature splashes of bold colour - pink for the girls and a wallpaper mural for the boy. Modern and minimalist, this house lets in plenty of natural light while earthy accents keep the interior homely and cosy. 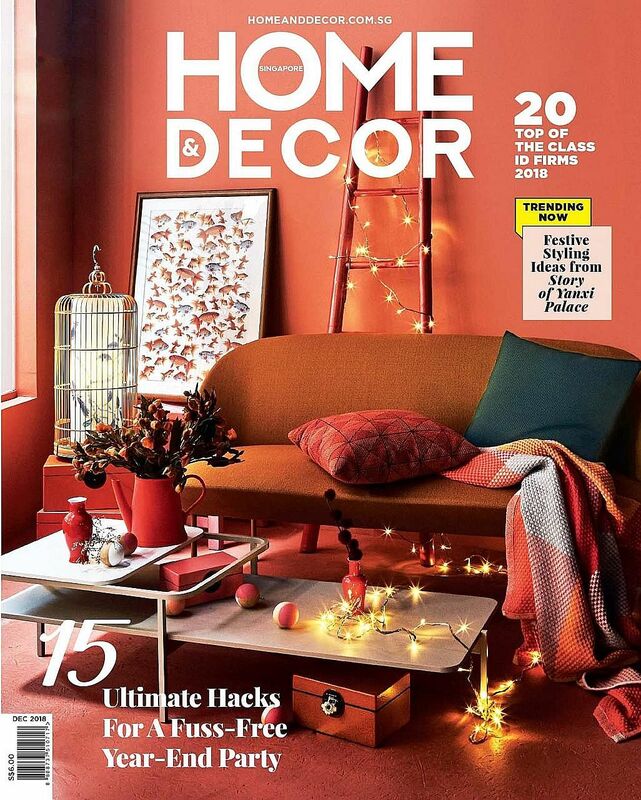 • This article first appeared in the October issue of Home & Decor, which is published by SPH Magazines.